Participating clubs may enter runners prior to the season and in accordance with the updated Rules on the website also included in the Team Managers' Guide, and will issue a number to their runners. Guest runners may be permitted, but again only in accordance with the updated Rules as well as included in the Team Managers' Guide. Attention All Athletes: As per the League Rules (see Rule 20): Any runners wearing headphones will be disqualified. The races are being held on private land with the kind permission of the owner. Please treat all areas with the utmost respect as we would like to be invited back in future years. Strictly NO spikes are to be worn in the toilet buildings. Catering will be organised by the venue. We would grateful if you could please support this. Northbound (A4260) traffic: Follow the A4260 northbound passing straight on at the traffic lights in Deddington towards Adderbury; at the traffic lights in Adderbury turn Right towards Aynho on the B4100; after about 1/4 mile turn Right at the International Caravan Sign. Eastbound (A361) traffic: Follow the A361 northbound to the junction of Church Street and Barford Road on the outskirts of Bloxham; turn Right (southwards) onto Barford Road towards Barford St. John; after about 150m turn Left onto Milton Road; follow Milton Road past Milton village onto Berry Hill Road to the junction with the A4260; turn Left (northwestwards) and follow the A4260 into Adderbury; at the traffic lights in Adderbury turn Right towards Aynho on the B4100; after about 1/4 mile turn Right at the International Caravan Sign. Northbound (M40) traffic: Exit the motorway at Junction 10 and follow the A43 towards Northampton; after 1/2 mile turn Left (northeastwards) at the roundabout onto the B4100; follow the B4100 through Aynho village over the top of the M40 passing Banbury Golf Club entrance on the left; after about 1/2 mile turn Left at the International Caravan Sign. Southbound (M40) traffic: Exit the motorway at Junction 11 and follow the A422 into Banbury; at the third roundabout turn Left (southwards) onto the A4260 (Southam Road); follow the A4260 southwards past Bodicote to Adderbury; at the traffic lights in Adderbury turn Left towards Aynho on the B4100; after about 1/4 mile turn Right at the International Caravan Sign. From that point onwards follow the signs and marshal directions to the parking facility at the venue. Please Note: The car parking will be arranged by the hosts. There is ample parking at the venue but entry/exit is via a single narrow road with limited passing points. We therefore encourage you to car–share wherever possible to avoid congestion, and please be patient if there are any delays. 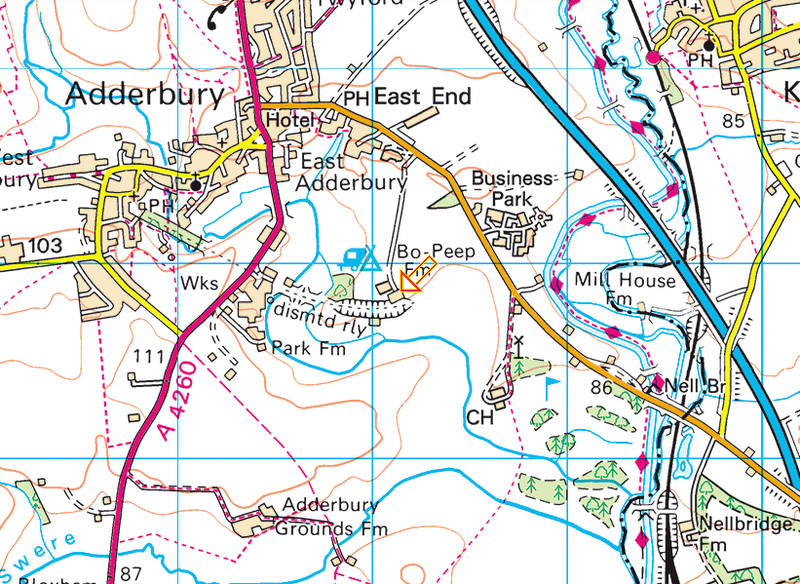 2019 Adderbury XC Course Maps will be made available here at the beginning of the week before the fixture.